Granbury, Texas was often overlooked as a great place to retire in Texas. Now, based on social life, highly sought after medical facilities and taxes, Granbury is ranking at the top of some lists for retirement cities. These rankings even show Granbury making a gain on Fredricksburg, which for years was considered the “best place to retire in Texas”. The real estate options in Granbury are limitless. Granbury is a host to several beautiful and well planned retirement communities. The Waterview is one located in Granbury that offers homes for sale as with independent living, as well as assisted living options. Located on the shores of Lake Granbury, the setting is picturesque. Granbury Tx has many subdivisions offering a variety of living options when choosing a home. Indian Harbor has shown to be one of the hottest areas for retirees to move to because of the waterfront, resort style living. Another great Granbury Real Estate option for retirement is Lakestone Terrace. Known for modernizing the retirement experience, you can choose from spacious cottages to independent living apartments. Very compassionate, and very stylish, nestled with a view of Lake Granbury. With many health fairs, art shows and recreational activities planned year round, you will never have to leave home for a good time. As aging consumers look to find the best place to retire, the options for high tech medical care is at the forefront of their minds. They want to be able to have great physicians and hospitals that they do not have to travel hours to get to. Granbury offers just that. One of Granbury’s general medical surgical hospitals is Lake Granbury Medical Center. With just 83 beds, the size of this hospital is appealing to older patients who do not want to fight the obstacles that go along with larger medical facilities. Lake Granbury Medical Center has a fully staffed emergency room, and performs inpatient and outpatient surgeries. A little more than 15 miles away, in Fort Worth, TX, is Huguley Memorial Medical Center. This facility was ranked as “high performing in caring for patients in Heart Failure” by U.S. World & News Reports. There are several other high tech health care facilities located less than 30 miles from the center of Granbury, TX. Doctors offices and medical labs in and around Granbury, offer retirees plenty of options in healthcare. With many parks, walking trails and sought after golf courses, you can find plenty of things to keep you active in Granbury. Live theater, music and the arts are always sure to be found in season. Many lists show Granbury as number one in Texas for best cities to retire. The below, lists the top 3 cities in Texas for retirees. SmartAsset, a website dedicated to providing easy to understand answers to financial questions. 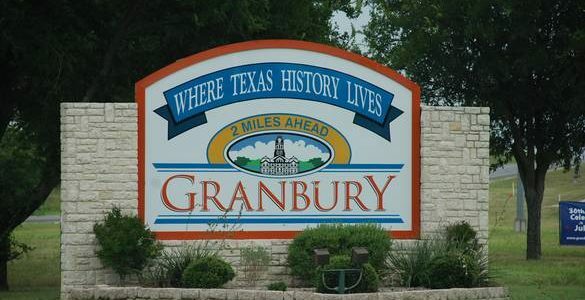 They have named Granbury the Best Place to Retire in Texas for two years running – 2015 and 2016! Copyright © 2019 Hall Realty – Wes Hall. Powered by WordPress. Theme: Accelerate by ThemeGrill.